Fall is in the air, and there is lots to do in Elko this month while the weather is nice. 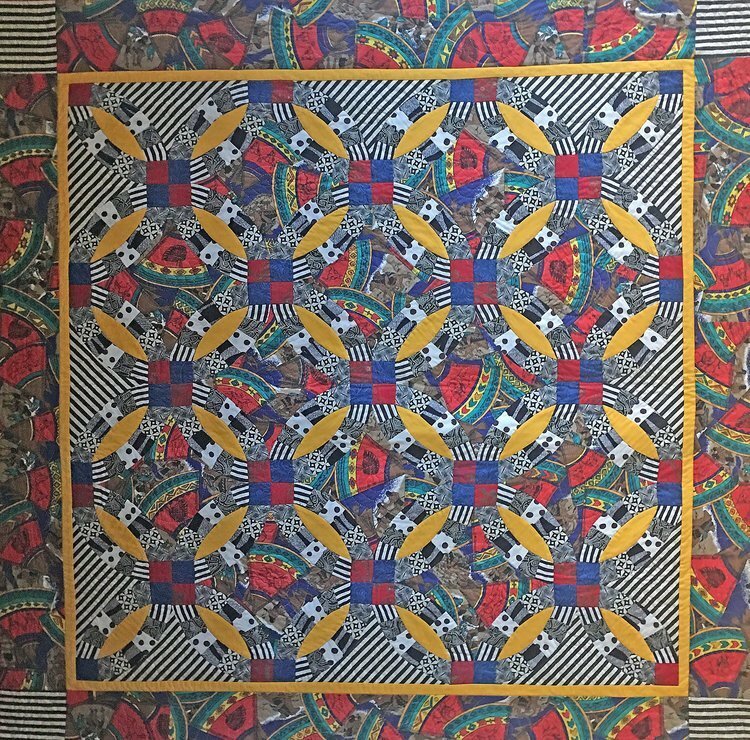 The Western Folklife Center is presenting a new exhibition in the Wiegand Gallery — Stitching Art: Contemporary Quilts and More. The exhibit is on display September 21 through December 8, 2018. Stitching Art showcases the quilts and collections of six fabric artists, who have taken great joy in honing stitching skills to create work that beautifully reflects personal interests, aesthetics, moods, and milestones. In the exhibit’s curator seat is award-winning quilter Sharon Gilmore-Thompson, who has gathered together work from northeastern Nevada artisans Mable Beatty, Donna Chism, Holly Bruning, Karleen Bundy, and Shirley Davis. These women all share an addiction to fabric arts and testify that stitchwork contributes to their physical and mental well-being. Their hope is that visitors to the Wiegand Gallery will come away inspired to try their hand at stitching. The folks in Jarbidge and Jason at the Outdoor Inn give us another good reason to head to Jarbidge in October for a fun weekend. The main event is the Halloween Pig Roast on October 27th. This will be the last party of the year in Jarbidge and includes the Fire Department Raffle, Bake Sale and Costume Party. Definitely worth the scenic drive! Head on out to the California Trail Interpretive Center for this unique market on Saturday October 20th and Sunday October 21st. Learn about the history and traditions of Great Basin Native Americans. 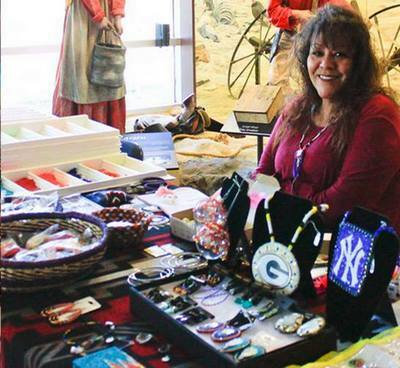 This year’s Native American Market features handmade crafts, collectibles, jewelry, and more. Native American art makes great Christmas gifts. The event also features the exhibit “Through Our Own Eyes: A Native American Youth Art Exhibition.” The exhibit includes over 100 paintings by students from Owyhee Combined School, located on the Duck Valley Indian Reservation. For more information: https://www.facebook.com/californiatrailinterpretivecenter/. Head to the Lamoille Grove for the 6th Annual Pumpkin Festival on October 20 and 21. Pick your pumpkins at the pumpkin patch. Enjoy Hay Rides, Bouncy Houses, Facepainting, Homemade Treats, Crafts & Family Photo Spots, Free S’mores, and lots more family fun. Proceeds Benefit the Boys & Girls Club of Elko. Make it a full day with a good meal at O’Carroll’s and a drive up Lamoille Canyon. “She Kills Monsters” will play October 16–20 at 7:30 p.m., with a matinee Saturday October 20 at 2 p.m. The play, by Qui Nguyen, had a successful run Off-Broadway in 2011. A dark comedy, the story centers around a journey of discovery and adventure into a game of Dungeons and Dragons. Complete with ogres, dragons and other flying creatures, along with plenty of stage combat, the production promises to open the eyes of audiences to both this world and the underworld. Guest artists have worked with students in the design and construction of puppets and a spectacular otherworldly set. General Admission: $10. Students and Seniors: $5. Advance tickets available in the business office in Berg Hall.